Charge Shot!!! : Just What The Hell Are We, Anyway? Just What The Hell Are We, Anyway? Here at ChargeShot!! !, we refer to ourselves, quasi-officially, as a "New Millennium Culture Blog." Looking past the fact that this awkwardly endearing moniker doesn't really make much sense to begin with, what to make of that final word - "blog"? Referring to ourselves as a "blog" puts us in a large pool of Internet writers, from well-known collective enterprises like Gawker to professional individual analysts like the Atlantic's Andrew Sullivan to the slums of the Internet, the moody teenagers formerly confined to Livejournal and Xanga, who write about their feelings and how their parents don't understand them. On Slate this week, Farhad Manjoo investigated whether or not the term "blog" means anything. His conclusion after corresponding with several prominent Internet writers is that there isn't really a hard and fast definition as to what makes a "blog." Yet the word is often thrown around as a pejorative (it doesn't help that the very enunciation - "blog" - sounds downright disgusting). Whenever I find myself admitting to people that I write for a blog, I always have to clarify this statement by explaining that no, it is not an online diary, I live neither in the basement nor with my parents, and I have friends who I have met outside of the Internet. Even for me, writing for this blog, the word "blogger" brings to mind an overweight, underdressed social pariah who talks like the Comic Book Guy from The Simpsons. This is not necessarily unfair. In the past five years or so, we've been so inundated with claims about how great Web 2.0 is that it's beginning to get a little tiresome (remember when you were Time's Person of the Year in 2006?). The Internet certainly serves as a platform for the most self-indulgent and narcissistic writers, and there's certainly a pervasive cult of the amateur on the Internet. Things like Yahoo Answers and CNN's horrendous iReporting don't help. The Internet is the great equalizer, but in many ways the denizens of cyberspace have used this as an excuse to claim superiority over everyone who gets paid to write. When you see some random blog given equal weight to Roger Ebert on Rotten Tomatoes, you begin to suspect something is wrong with the idea that all opinions are created equal. Indeed, as the notion that the Internet is infested with amateurs and their trumped-up opinions gains strength, politicians themselves are beginning to dismiss all blogs as unworthy of any sort of critical analysis. For example, look at the recent Kentucky Senatorial debate between Jack Conway and Rand Paul. If you haven't been following this campaign, it's been a wild ride; recently, Conway aired an ad accusing Paul of being a non-Christian, because of a strange story from Paul's college days in which he and other members of a fraternity kidnapped a woman and made her pray to a divinity known as "Aqua Buddha." Conway brought this up in a debate, and Paul dismissed the piece of information: "Don't make up stuff about me from college that you think you've read on the Internet blogs." (Nevermind that the Aqua Buddha story was originally published by Jason Zengerle, a traditional journalist writing for GQ Magazine.) Paul's unstated assumption is that there are trustworthy "mainstream" news outlets, and gossip-ridden blogs, with no middle-ground in between. Yet as much as both the mainstream media and the bloggers like to frame the each other as some sort of oppositional dichotomy, the truth is that blogs and traditional news sources are beginning to meld into one another. Now many prominent journalists, critics, and intellectuals are beginning to keep their own blogs as well. On The New Republic, Jonathan Chait, both journalist and blogger, writes on the Aqua Buddha debacle that he "fail[s] to see the metaphysical distinction" between the two forms of media. An increasingly large number of writers are now engaging in both. Newspapers have had op-ed pages for years, along with analysis pieces, movie reviews, and other pieces that fall more under the label of "opinion" than "fact." Now many websites are starting to combine the two to an even greater extent - not only do traditional news outlets like the New York Times and Time keep blogs, but the newer generation of web-magazines like Slate and Salon have integrated traditional news with snarky blogger-esque opinions to an even greater degree. Yes, the writing is constantly in the first-person, the texts are littered with hyperlinks, and the general attitude is less formal...but websites like these still provide a decent amount of information even when they completely cross the line into "blog" format. Perhaps the biggest blogger success story is Nate Silver, a former economist and baseball statistician whose website Fivethirtyeight.com quickly rose to become an Internet superstar during the 2008 election season. Silver was a political amateur (though well-educated in statistical analysis), but his blog not only provided content that was hard to find elsewhere (an in-depth look at the statistical problems with election polls), but was also impeccably up-to-date, and well-written. Soon, major media outlets were citing Silver's blog, and just last month it was purchased by the New York Times. Overnight, the amateur blogger had become part of the mainstream media...which is to say, in many cases, there isn't much of a difference. 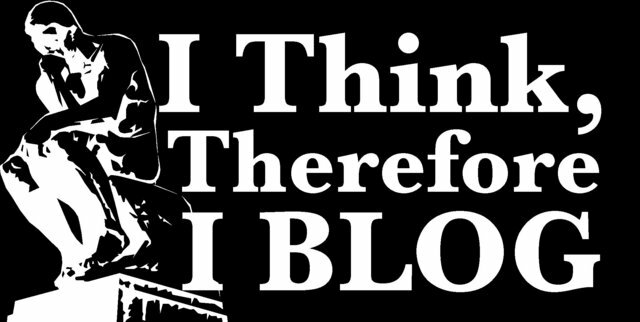 But what is a blog? It's a mode of content - an Internet site that posts articles in reverse-chronological order. Other than that, blogs can be anything. There are "official" blogs on websites, there are columnists who blog "on the side" along with their writing duties, there are trumped up diaries and weird pet projects. There are live blogs and music blogs and "V-Logs" and all sorts of other subgenres. And, of course, there are New Millennium Culture Blogs. I don't think blogs are going to replace books, magazines, newspapers or traditional journalism. But neither do I think that blogs have no place in serious conversation. Like most things out there, it depends on the quality of the specific item. There are good blogs and bad blogs, just as there are good new outlets and bad news outlets, good critics and bad critics. Don't believe everything you read on the Internet, but don't dismiss everything either. I think blogs are best consumed as a supplement to traditional media, not as a substitute. The best websites out there understand this, deftly combining the two into one integrated experience where objective information is placed next to (and clearly delineated from) well-thought-out opinion. We're a blog here at ChargeShot!!!. We can't replace traditional news sources, and we're not trying to. But we can get you to think about this news, and (hopefully) offer some erudite, well-reasoned opinions on said news. If there's a place for blogs, I think this is it.